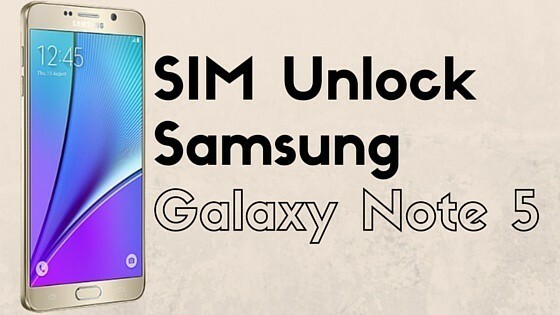 This guide will help you how to successfully SIM unlock Samsung Galaxy Note 5 and use it with any GSM carrier worldwide. Samsung Galaxy Note 5 bought from a carrier such as T-Mobile, AT&T, Rogers, Fido, Telus, Koodo, Bell, Virgin and so on, by default comes carrier locked to that particular network until your contract expires with them. You can not use your Note 5 with any GSM Carrier in the US or Worldwide unless you first unlock it. If you want to use it with any other carrier/ network, then you will be forced to unlock the Galaxy Note 5 SIM for it to work.Usually, Note 5 is SIM locked because major carriers don’t want consumers to use the purchased devices with other carriers or networks. Now supposed you’ve bought your phone from T-Mobile US but when you want to use it with AT&T it will ask for “SIM network unlock PIN’. Free your Galaxy Note 5, because freedom is good. Step 5: Congratulations! Your Samsung Galaxy Note 5 is now successfully sim unlocked.